Lou Delaplaine Schieffelin has been selected to represent Winter Park in the Miss Florida USA/Miss Florida Teen USA competition for 2018 due to her high academic standing, her commitment to her faith and her dedication to the community. She is a fierce advocate for the It Can Wait campaign against texting and driving and aims to one day work for NASA. She will be competing to qualify for the Miss Teen USA/Miss USA and ultimately for the Miss Universe competition. 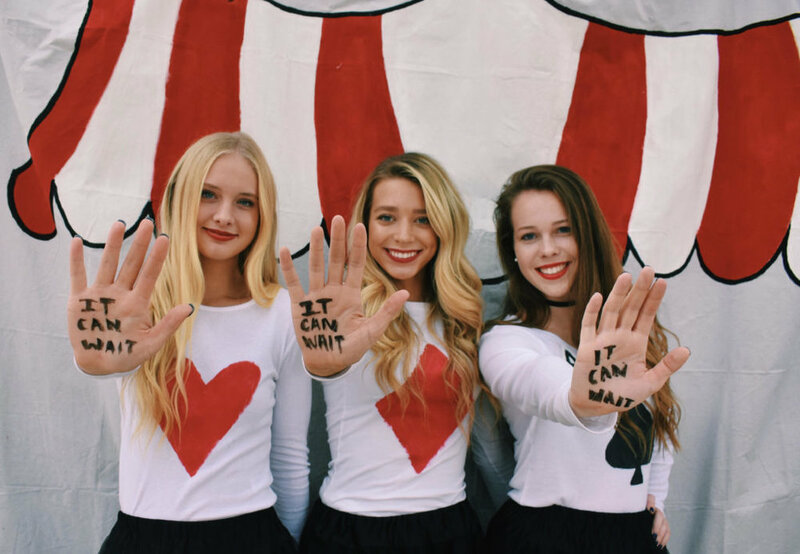 Hope for Women: What inspired you to compete in the Miss Universe Organization that operates the Miss & Teen USA systems where you currently hold the title of Miss Winter Park Teen USA in Florida? Lou D. Schieffelin: I think the Miss Universe Organization's motto sums it up for me. The statement that every girl, teen, woman should feel “Confidently Beautiful.” It’s the ability to be humble but also be strong - letting your light shine bright without taking anyone else’s! It’s a statement that allows you to hold the perfect balance between being modest and driven. I respect organizations that strive to empower young females to develop the confidence they need to cultivate their personal career goals, advocate for humanitarian issues, and achieve their personal best in life. A confident, forward thinking female has the power to affect real positive change in the world, not just talk about it, but initiate it. HFW: You were chosen out of thousands of applicant’s due to your academic success, faith, and community service. Can you share a little bit about why each of those is important to you? LDS: Academic success to me doesn’t always take place in the classroom. There are many opportunities and ways to learn if we take the initiative. I have learned so much at my very active high school, but the most important is that we can all be successful students with a combination of positive attitudes and kind behavior towards each other – it’s a different kind of intelligence. We are taught observation, understanding of others' beliefs, and to take charge of our education - it's all about being present! It used to be scary to talk about my faith. Especially when it's hard to tell what other kids believe or how they will react. I had to first learn that you can talk with God and ask for help about anything. Ask Him to give you opportunities to share His love and words freely, and know that He will steer you toward people whom He has prepared to hear about Him. We all know the cliché that actions speak louder than words. Well, it's so true in the Christian life! It’s the "quiet" testimony – you must be a loyal and faithful student [and] we must be kind and fair no matter what. When the doors do open to share your faith, be ready to share it! My favorite thing is most definitely my efforts through community service. With over 700 hours accumulated, it has been a rewarding experience I continue to cherish. This is our opportunity as young people to ignite a spark to help our local communities by giving back and helping others where they need support. We get to show our independence by setting goals, showing enthusiasm, leadership, communication skills, the persistence for causes we care about, and polish up on our decision making all for the better! HFW: What would you tell people who insist that brains and beauty are opposites? LDS: It’s time to break all stereotypes because today’s females can have it ALL – maybe just not at the same time! So pace yourselves girlfriends but know it is so the time to have beYOUty & brains! To me, humility is the greatest characteristic that makes a woman confidently beautiful. One’s confidence and beauty is intensified by their kind heart, generosity, and acceptance towards the imperfections that lie within them. It's also how they see the world and appreciate our society. It’s how they aim to spread this beauty to those around them. They are constantly challenging themselves, they never stop learning because they are convinced that knowledge is beauty on its own. A beautiful, confident female, is humble, smart and strong! HFW: What would winning this competition mean to you? LDS: I most enjoy the impact that we can have on each other - young women from all walks of life that we may have never had the privilege of meeting. It’s like you have the honor of gaining a whole new group of sisters and families by entering this competition. The friends you get to make all across Florida are irreplaceable and you keep these friendship for a lifetime. I have learned so much from other girls, directors, makeup artists, photographers, judges, choreographers, and designers just through my experiences of competing. LDS: I wish all women and teens could hear that we are our own worst enemies. We worry about all of possible negative outcomes and 90% of them never come true. We mentally attack ourselves and waste all that negative energy. We compare our insides with everyone’s outsides. Think about this: Are you loving the females in your life or competing with them? A tranquil heart gives life to the flesh, but envy makes the bones rot. Naturally we compare ourselves to others through snapshots of their lives on social media. This is an unrealistic depiction of what is real. Although we receive these staged posts every second of the day, it is far from reality. The secret message to internal strength resides in the idea that if one loves and trust in the LORD, then confidence in your being becomes real.